The Management of the Nigerian Ports Authority (NPA) has stated that it’s desirous of sustaining the existing collaboration between it and the Army College of Logistics with the view to ensure that we benefit from the logistics experience of the college. Speaking when the team of army logistics led by the Commandant of the college, Major General Richard C. Duru paid a working visit to the Management of the NPA, the Executive Director Engineering and Technical Services, Prof Idris Abubakar said that in order to standardize operations at the nation’s seaports, the Authority would tap into the world of knowledge of the logistics professionals of the Nigerian army. Professor Abubakar, who represented the Managing Director offered a common area of confluence of understanding and information sharing to necessitate basic solutions to questions requiring answer in the dual-collaboration involving both agencies of government. Earlier in his presentation, the Commandant of the Army College of Logistics, Major Gen. Richard Duru said that being a crucial hub for national logistics supply chain, the NPA deserves support from all and sundry with the view to ensuring that necessary variables are deployed expectedly. 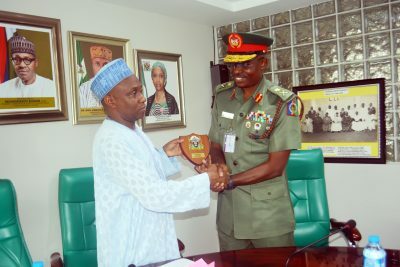 He said the Army College of Logistics would be ready to partner with the NPA and other government agencies in the area of offering training facilities of repute manpower development to employees thereby contributing most meaningful in enhancing the logistics at the Ports and beyond. 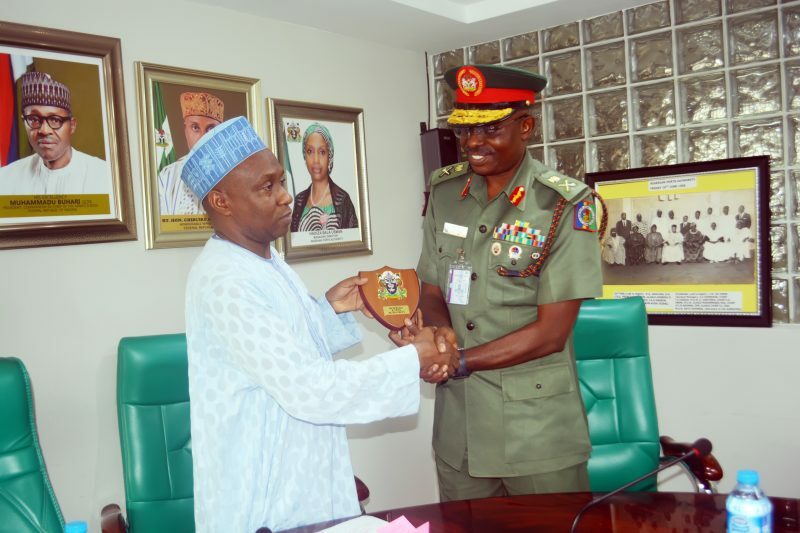 Furthermore, the Commandant commended the various successes recorded by the Hadiza Bala Usman led NPA Management and expressed the optimism that it is expected that the Management would surpass greater expectations placed on them by stakeholders.